The traditional advice was always to ‘defer taxes now because you will be in a lower tax bracket in retirement’. Well, for today’s Federal Employees who have pensions, retirement savings, and so much concern about our national debt – this once timeless advice may prove dated. How do you get to a ‘lower’ tax bracket? Is dropping to a lower bracket common for federal retirees? You get to a lower income tax bracket by having less TAXABLE income – and there are only 2 ways of lowering your taxable income. The first option is simply to take home less overall income – but this is hardly the ideal retirement plan. The only other option is to invest in a way that generates tax-free income, money for you to spend in retirement that does not get flagged as income by the IRS for your taxes. This often-overlooked asset class is especially key for federal employees who expect to receive forever-taxable retirement benefits. Over the last 7 years, the vast majority of FERS employees that we have helped prepare for retirement have not seen the ‘retirement income tax relief’ that they had wrongfully been told to expect. Why? Because they are often bringing home too much TAXABLE income to qualify for a lower tax bracket in retirement. First, nearly all of the retirement income received by Federal retirees who follow the Traditional 3-legged blueprint will be taxable. Forever. At whatever rates Uncle Sam chooses. Second, the majority of career federal employees will naturally have enough TAXABLE income to remain in the same tax bracket in retirement as they faced during their career. Third, we will never be able to change the tax treatment of your pension or social security benefits – so protecting oneself from higher future tax rates depends entirely on the tax treatment of how we elect to invest our retirement savings. Thus, the question becomes ‘Where will taxes for your current bracket go in the future?’. There are plenty of great resources to help you develop your own answer to this integral question – but with $21 TRILLION of national debt, ever increasing annual government spending, and these new tax cuts that are scheduled to sunset (go away) in 7 years – it is hard to imagine taxes doing anything but going up in the next decade. Since we can never legally avoid paying taxes altogether, the difference between taxable and tax-free retirement income for Federal Employees hinges on WHEN we pay the taxes on our retirement savings. Option B: you can pay income tax on your withdrawals (which will consist of both your contributions + earnings) at whatever rate is assessed for your tax bracket in retirement (aka paying tax at an unknown rate on the entire ‘harvest’ down the road). Many analysts are predicting that these rate hikes are already inevitable, but for the sake of a quick comparison, let’s assume that tax rates simply stay the same in retirement as they are today and compare paying tax on the seeds vs paying tax on the harvest. Now, in the real world, there are a number of other factors to consider with your CPA or financial professional, but in this simplified scenario, it cost 1,000% more to defer those taxes – even when the rate didn’t increase at all – because you are paying tax on the entire account balance rather than just your contributions. When we pay tax on the ‘seeds’ only our contributions are taxed, ever, while the gains are NEVER taxed. When we defer taxes and elect to pay them on the ‘harvest’ it means paying tax on the entire balance of your account (contributions AND all of the gains) at whatever the rate is when you need the money. Unfortunately, there are only a few legal strategies for creating tax-free income which shouldn’t be all that shocking if you think about it – Uncle Sam’s future revenue is largely dependent on the pending taxation of the trillions of dollars Americans are currently growing within their tax-deferred retirement accounts (such as Traditional TSPs, 401Ks, & IRAs). In other words, Uncle Sam is happy to let you grow tax-deferred accounts before paying taxes on it because you are also investing and growing his ‘cut’ of your savings. As such, there are additional restrictions on both how much you can contribute to these after-tax investments and on how much income you can earn while contributing to them! While this article focused more on why the incorporation of tax planning into your retirement blueprint is critical for everyone, determining which of these strategies, or which combination of these strategies, is actually best for you depends on a number of additional factors. 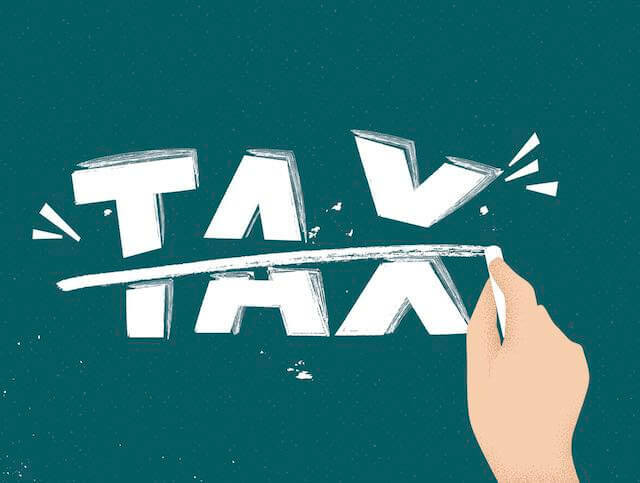 The key is to be proactive in addressing these concerns today because taxes are only going to be ‘on-sale’ for a few more years and the IRS has already put major restrictions on how much you can contribute in each of those years! With retirement benefits under attack, the Social Security trust (which includes Medicare, oh by the way) being severely underfunded, and the risk of tax hikes increasing with each new year’s fiscal budget – there is more uncertainty for federal retirees today than at any time since midst of the financial crisis. As such, it has never been more important for you to take control of your own financial future, your retirement destiny if you will, by working with a Federally Focused Retirement Planner to create a tax-efficient investment portfolio that can generate a tax-free supplement to your forever-taxable federal retirement benefits.